Click here for information on where to buy your Cub Scout Uniform and Manual. What else is available? Interested in joining Cub Scouts this Fall? Boys are welcome to join anytime, and Fall is the easiest time of all. Please contact us and join us at a den or pack meeting to learn more. The first thing we will work on as a den is earning the Bobcat Badge. This must be done before we work on the Tiger badge requirements – but it’s really easy to earn this first badge. Here is a link to a general outline of the Bobcat and Tiger Badge Requirements. It is VERY important in Scouting that the Parents and/or Adult Partners assist with the planning and running of an event. All of the leaders are volunteers, and we count on the Parents and/or Adult Partners to help us out. 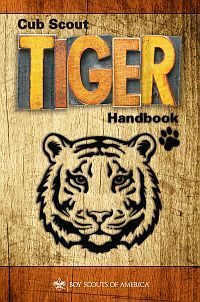 A Parent and/or Adult Partner are always required to be present with the Tiger Scout at each meeting and/or event. Our annual pop corn fundraising campaign will start immediately, so the scouts can earn money for uniforms, supplies and more.